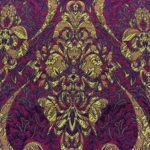 Brocade with a Regal Baroque-like pattern in Crimson Red and matte Antique Gold. 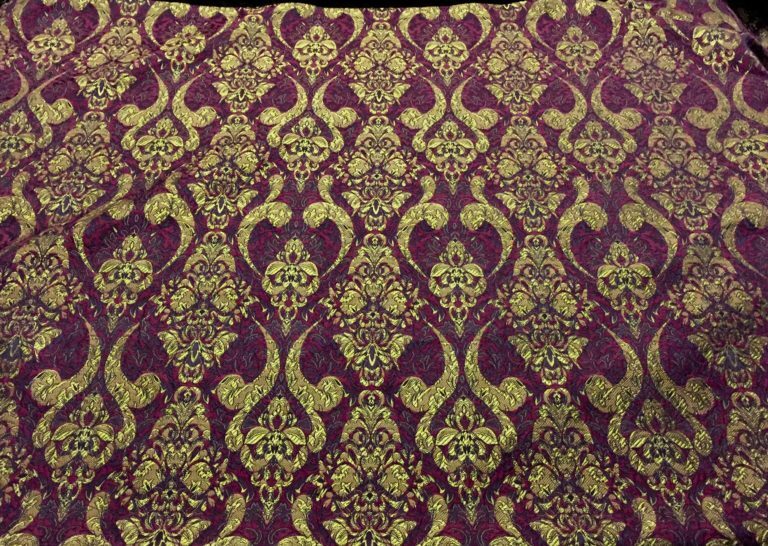 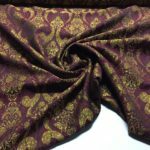 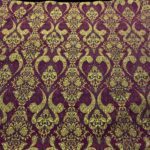 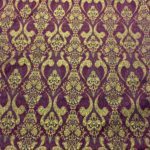 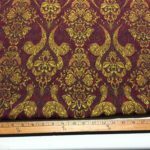 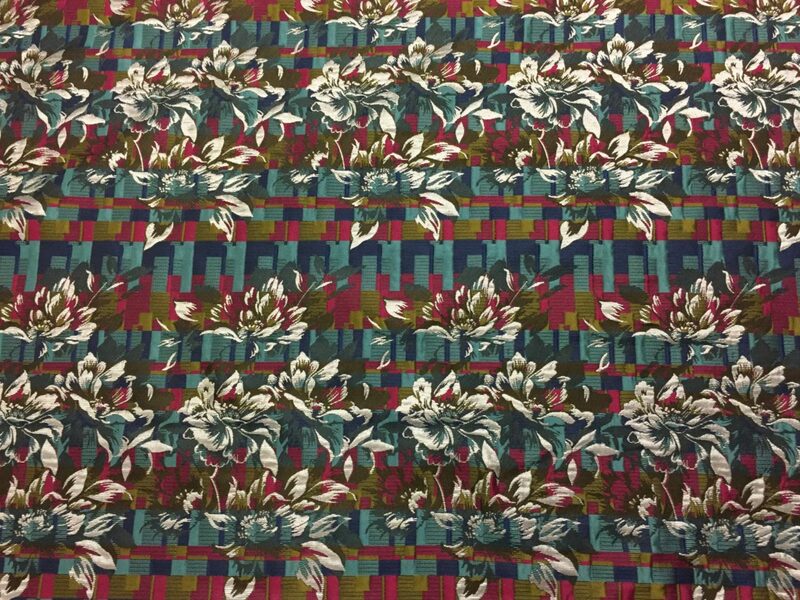 A true brocade, heavy weight, a Cotton/Rayon/Poly Blend – fit for a dress, skirt, jacket, coat, pants or gown. 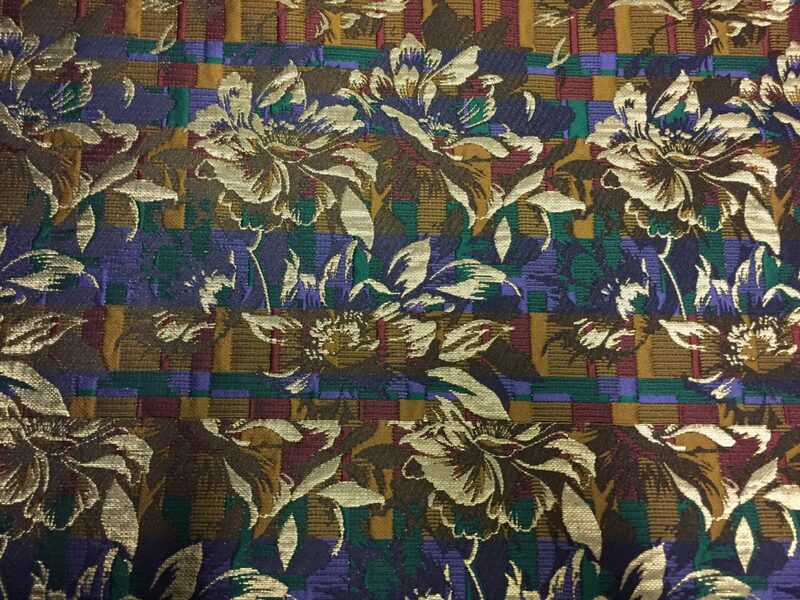 Made in France, 59″ wide.